VES Inter School Talent competition was held at Sri Ram Dayal Khemka Vivekananda Vidyalaya, Thiruvotriyur on 18.08.2018. 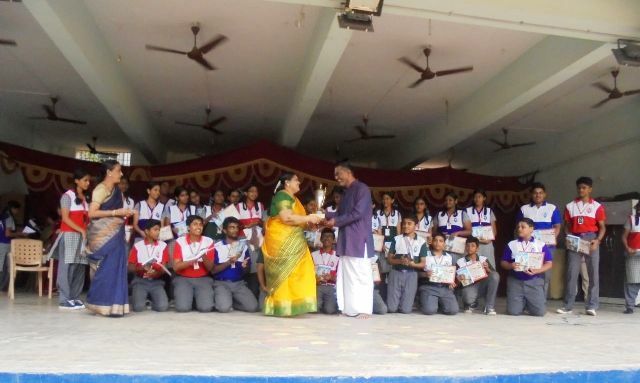 Our students have bagged II prize in National song competition and III prize in culture quiz. VES Inter school talent competition was conducted at Chromepet unit on 19.08.2017. 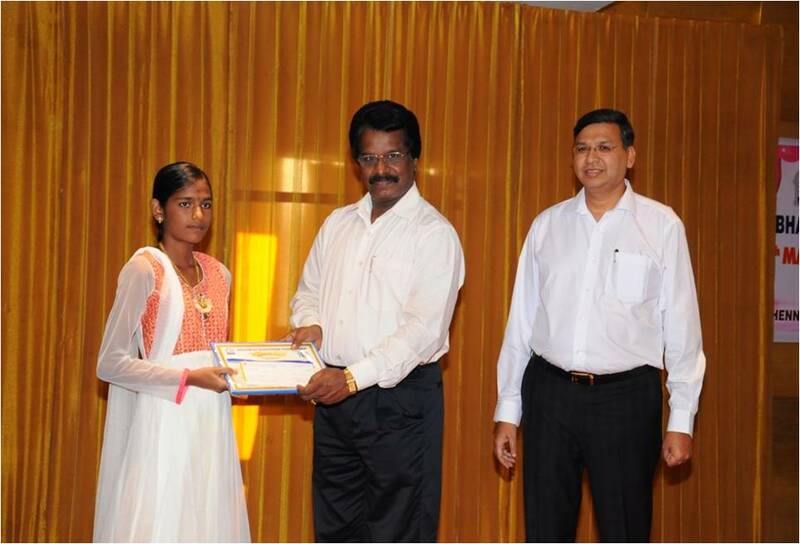 Our students have bagged the First prize in National song Group singing competition. 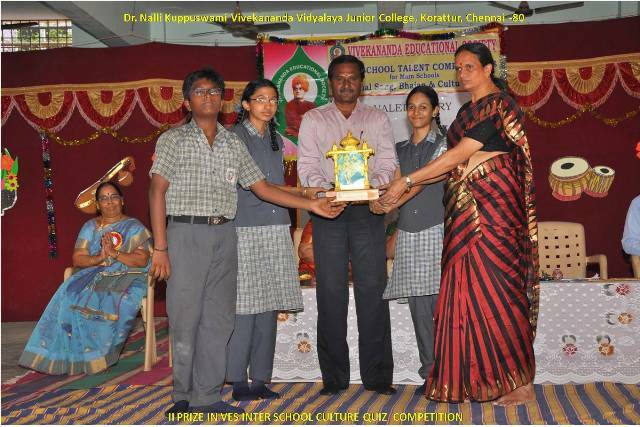 VES Inter school talent competition was held at our school on 06.08.2016 for all the main schools. Sri. V.V. Subramniyan, Former Principal of Vivekananda College and Muhursung Vidwan Sri. Krishnan were the chief guests for the inaugural function. Smt. M.A. Bhageerathi, HOD of Music Department, Queens Marys College and Smt. 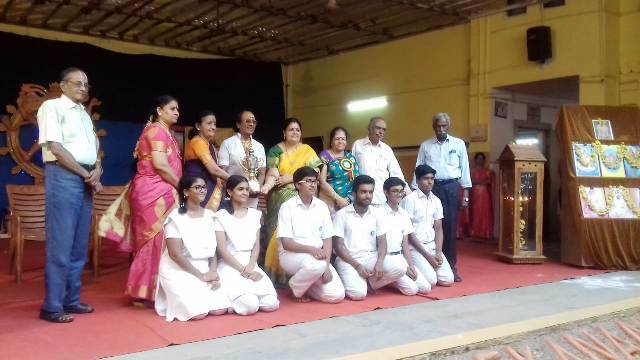 Girija Ramaswamy, Harikatha Artist and Vocalist for Bharathanatyam were the chief guests for valedictory function. 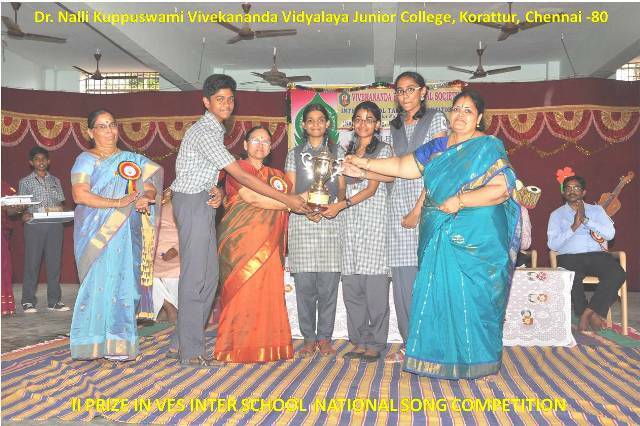 Our school students won II prize in National song competition and Bharathiya Cultural quiz. 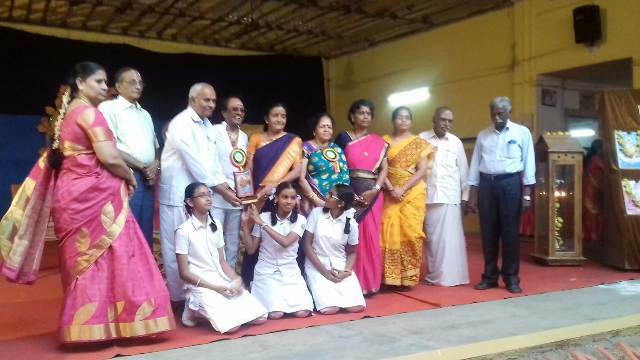 VES Inter school talent competition was conducted at Kundrathur unit on 22.08.2015 for all the main schools and at Agarmel unit for the child schools. Our school children have bagged III prize in Group song competition and Culture quiz.